The program for the 2014 Boston-Northwest Ireland Golden Bridges conference. The official program for the 2011 Golden Bridges conference that was held on November 10-11, 2011. List of conference sessions during the US/Ireland Emerging Technologies Conference sponsored by UMass Lowell, Queen's University Belfast, and Dublin City University that was held on October 19-20, 2009. The program for the 2016 Donegal Diaspora conference. Itinerary for the UMass Lowell delegation visit to Queen's University Belfast on November 6th and 7th, 2008. A Power Point presentation used at the March 27, 2014 Center for Irish Partnerships advisory board meeting. The itinerary for UMass Lowell Chancellor Marty Meehan's trip to Ireland on March 22-29, 2009. The conference schedule for The Irish in Massachusetts: Historical Significance, Lasting Legacy conference that was held at UMass Lowell Inn & Conference Center on September 24-25, 2011. A report issued by the Center for Irish Partnerships detailing past and upcoming events. The 2016 American Election: Will Hillary Clinton become the President of the United States? Presentation given by Prof. Frank Talty at Queen's University Belfast on the 2016 US presidential election. The presentation was held on November 27, 2015. Announcement for a presentation by Sarah Kavanagh, Chief of Staff and Special Advisor to Ireland's Minister for Foreign Affairs and Trade on "Turning the Page: Meeting the Challenge of Commemorating the Centenary of the Easter Rising". 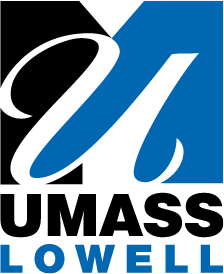 The event was held on Jan. 11, 2017 at 5:30 p.m. at the UMass Lowell Inn & Conference Center.